As the curtain goes up, Ross just knows his life is about to change. The world will never be the same. Shakespeare will never be the same. 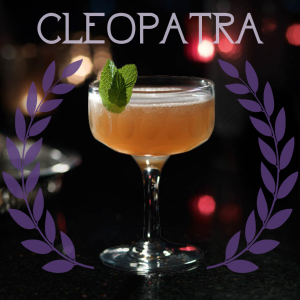 His daring, re-imagined production of CLEOPATRA will define a generation of audiences. But only if the actors can remember their lines. Join them upstairs at Quinn’s Bar NYC (44th and 9th) for an all-out, Complete-Works-style sprint through Shakespeare’s Antony & Cleopatra. Enjoy raucous singalongs, Ancient Roman drinking games, and some good old-fashioned Iambic Pentameter! A troupe of actors determined to deliver Shakespeare’s Othello must reckon with their own demons and those of the world in which they live, in order to discover where the Green Eyed Monster resides. With this immersive classical production, Madcap Repertory Theatre invites you to submerge yourself in the worlds of “The Green Eyed Monster: OTHELLO and its Players” and discover your own path through the darkness that exists in us all. A completely new version of the Festival’s yearly celebration of the lives and inspiration of five of San Diego’s most incredible Jewish women. 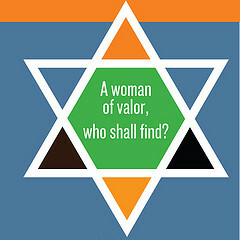 With music, visuals, and a world premiere script, “Women of Valor” is a staged reading that will touch the heart with laughter, drama, and inspiration. This year’s women include: Helene Bortz, Pam Ferris, Helene Schlafman, Fern Siegel, Gussie Zaks, and San Diego Police Chief Shelley Zimmerman. Every month, six playwrights write brand new 10-minute plays, each including five dramatic elements. These elements might show up at any time, in any order, and with any frequency. And every time they do: you DRINK! This month, we are excited to present “TinyRhino: Vintage”! 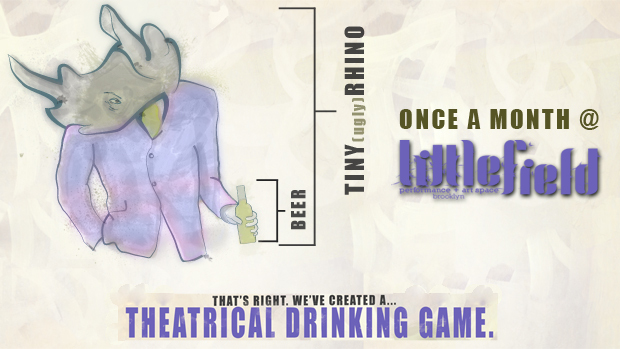 Sip your way back in time with six brand new plays all set before 1990.
www.tinyrhinoplays.com for more info and tickets! Posted in: N E W S	Tagged: Brooklyn, Cold War, How He Learned to Love the Bomb, Littlefield, New York City, playwright, TinyRhino, UglyRhino, W.W.Ay.Ay.Ay.